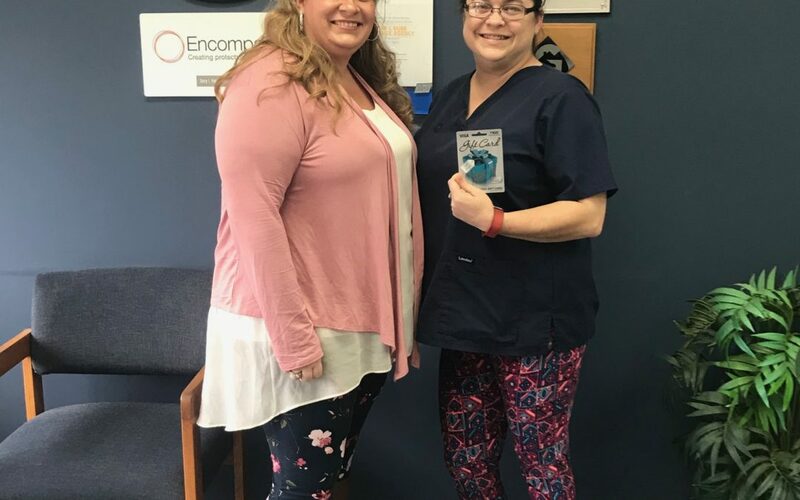 Red Lion agent Michele Stenger presents the $100 Visa gift card to Amanda Seiffert of Red Lion. Thanks for your referral, Amanda. Enjoy it!